The cell tower on San Marino High School. It is behind the big gym and next to the swimming pool and football field. The cell tower next to the classrooms/playground/lunch area, in the maintenance area, between Valentine and Huntington. There are 5 carriers between the two towers. The more carriers there are, the more RF energy emits from the antennas. The lower the antennas, the higher radiations to the nearby area. The site in Valentine was up around 2005-2006. The site in high school was completely Feb. 2008. The contracts are about 25 years. FCC regulation is outdated, human biologic effects have been shown to occur way below this level. Children are at great risk due to their thin skulls and scalps. Radiation can penetrate deeper into the brain of children and young adults. 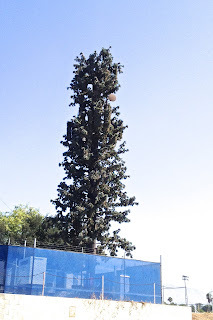 Studies shows that people experience certain short term effects from cell tower radiations, including headaches, sleep disorders, poor memory, mental excitation, confusion, anxiety, depression and appetite disturbance, etc. Lab findings show harmful effects of the cell phone frequency radiation such as increase of single and double-strand DNA breaks, which is not all repairable; the damage could be passed on to future cells which could predispose them to becoming cancerous. They also could cause protein change in skin, DNA damages, brain cell damage and hormone change. 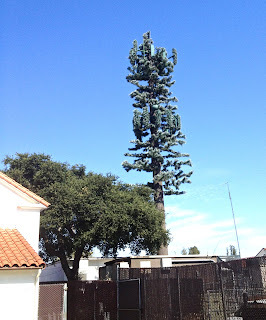 Statistics from many cities and countries show significant cancer rate increase and premature death for people live within 400 meters radius for 5-10 years compared with people live farther away from cell sites. Action: support our effect to ask school board and school district to remove cell sites from our schools with the least financial penalty. Biological effects from electromagnetic field exposure and public exposure standards. 2008 FEB.
Study of electromagnetic radiation pollution in an Indian city. 2011 NOV.
Reactive Oxygen Species Formation and Apoptosis in Human Peripheral Blood Mononuclear Cell Induced by 900 MHz Mobile Phone Radiation. 2012. Recent advances in research on radiofrequency fields and health: 2004-2007. ＡＰＲＩＬ2009. http://www.ncbi.nlm.nih.gov/pubmed/20183523 **CONCLUSION defers to the (WHO) study results which were released 5/31/2011 about cell phones now being class 2.